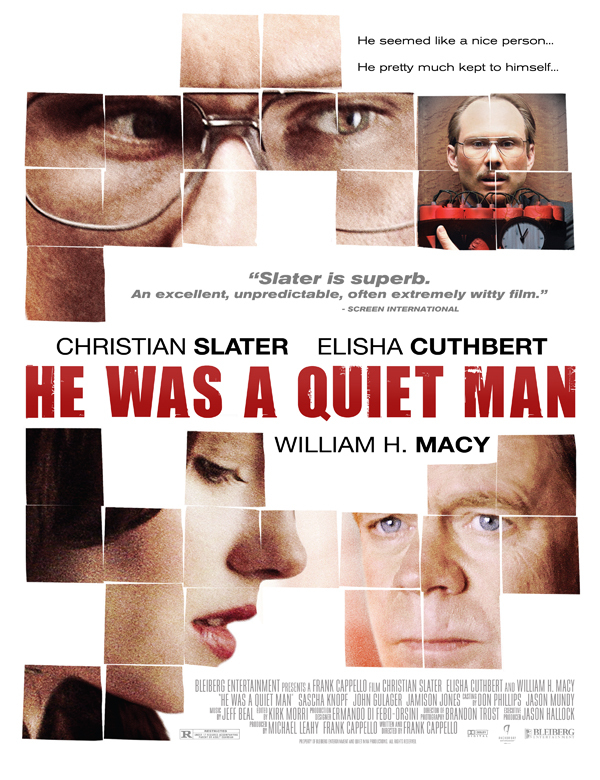 Bob Maconel (Golden Globe®-winner Christian Slater, “Mr. Robot, “True Romance”) endures another eight hours in a dull grey cubicle. Ignored by his co-workers, Bob feels completely invisible and out of sync with the world. On one strange day he crosses the line from potential killer to inadvertent hero when he saves beautiful Venessa (Elisha Cuthbert, “24”). His Boss (Academy Award-nominee William H. Macy, “Fargo,” “Shameless”) transforms Bob into a new man but his good fortune is short lived when the Object of his Desire asks him to end her life.